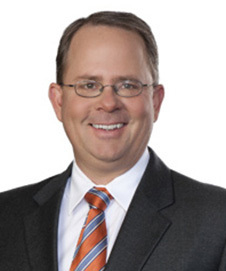 Brian M. Brown originally joined Thorndal Armstrong in 1999 as an associate attorney defending claims for alleged violations of constitutional rights, wrongful arrest and detention as well as claims for personal injury, breach of contract, construction defect and cases involving landlord tenant disputes. He left the firm briefly in 2004 to work at the Washoe County District Attorney’s office where he gained valuable trial experience defending all departments of Washoe County. He rejoined Thorndal Armstrong in 2008 and is currently a shareholder in the Reno office. Mr. Brown obtained his undergraduate degree from San Diego State University in 1992 and continued his education at California Western School of Law where he earned his J.D. in 1994. He was admitted to the Nevada Bar in 1994 and is licensed to practice before the U.S. District Court District of Nevada and before the U.S. Court of Appeals 9th Circuit. Mr. Brown’s practice areas include federal civil defense, commercial litigation, surety defense, government defense, insurance defense and workers compensation. When not in the office, Mr. Brown enjoys refereeing and is a member of the Northern Nevada Football Officials Association and the Northern California Community College Football Officials Association. Mr. Brown is AV rated by Martindale-Hubbell. 2007 Guest Lecturer, Nevada Civil Government Attorneys Conference, Case review, Scott v. Harris, 550 U.S. 372 (2007).